Should I update my iPhone to 9.3.3? NOTE: the following applies to the iPad as well. UPDATE: they’re up to 9.3.5 now. If you’re on 8.x I recommend staying there unless you have a great reason to move up. Here’s Apple’s page telling you what’s new in iOS 9 compared to iOS 8. It’s not such an impressive list, and remember that moving to 9 from 8 will probably make your iPhone run slower. I wouldn’t risk it if I were you. So, if you’re already on 9, the 9.3.3 update is for you. It’s full of security fixes: Apple provides a list of 26 security fixes in iOS 9.3.3, including issues involving the Calendar, FaceTime, and Safari. You need to plug these security holes. So get the update. Now that you have your backup, go get the update. I recommend you install the 9.3.3 update “over the air” which means you go to Settings, then General, and then Software Update. 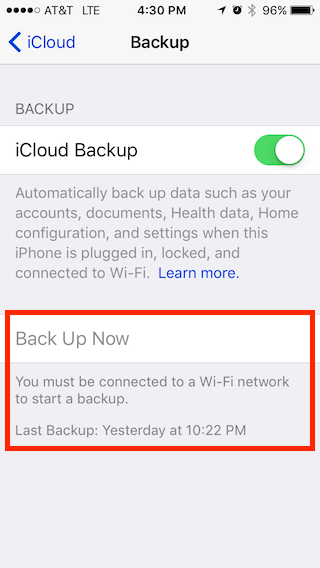 The other way (connecting your iPhone to your computer with the USB cable) is not only unnecessary, but slower too, so just stop it. 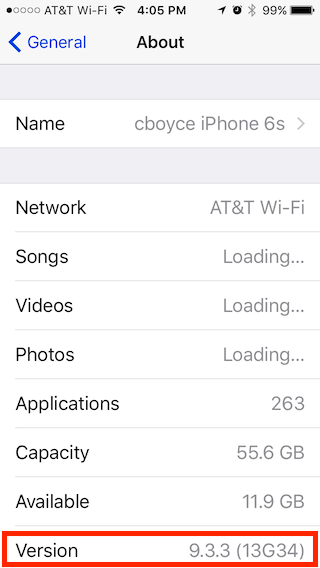 Plug your iPhone into its charger, connect to WiFi, and download and install the update through the air. It won’t take long– a few minutes, a restart of the phone, and you’re done. Just be sure you’ve backed up first. Should I update my Mac to 10.11.6?